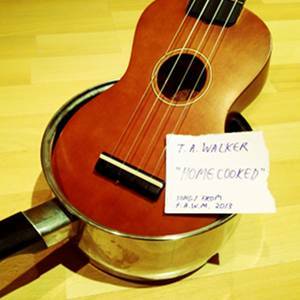 Yes, ladies and gents, I bring you my latest album release: “Homecooked: Songs From FAWM 2013” 🙂 It collects together the 14 songs I wrote and recorded during the 2013 February Album Writing Month challenge last month—the recordings have all been remixed and generally “buffed up” for this release, and one (“An Anniversary Song”) is presented here in a new recorded version, so I am not simply shovelling the “raw” demos into this album (as if anyone thought that… 😉 ). I gave considerable thought to how I should price this album. Whilst the tracks on it could justifiably be called “demos” (in the sense that they are home-recorded), I did put considerable time and effort into writing, recording and (for this album) remixing the recordings, and I feel this should be reflected in some way in a price. On the other hand, I would like to give some discretion over to you, the potential purchaser, and Bandcamp provides some handy means to this end. So here’s the deal: “Homecooked”—all 14 songs and nearly 40 minutes of it—can be downloaded in its entirety from Bandcamp, for the princely sum of £2 (in other words, less than most of Starbucks’ beverages, and for the most part, rather less sugary). However, if you feel you would like to support my music further (and even increase the possibility of me being able to invest in more sophisticated recording projects), you can choose to pay more at the time of purchase—I promise I will put any such windfall towards improving the sound of the next project!